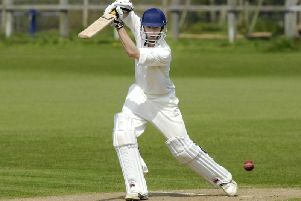 Scarborough Cricket Club's new first-team skipper Ben Elvidge is ready for his opening match in charge against old team Yeadon this weekend. Scarborough were due to kick off their pre-season at home to Hanging Heaton on Saturday, but that game has been called off and the firsts will now be involved in a triangular t20 tournament involving Scarborough 2nds and Yeadon. Elvidge said: "The pitch is okay at the moment but the Hanging Heaton game has been called off due to the dreadful weather forecast for tomorrow, which gives a lot of rain. "Our seconds were due to take on my old team Yeadon on Sunday but we are now having a t20 tournament with the firsts also involved now. Yeadon are bringing around 15 players along and a lot of their family members will be heading across to so hopefully it will be a good day for them. "We are planning on starting at around 10.30am or 11am at North Marine Road, with the firsts taking on Yeadon first and then the visitors will take on our second team." Elvidge, who has taken over the reins from his father Neil, added: "I am really looking forward to my first match as captain. This is a great time to take over with us in a new league and with plenty of good local players in the side now." Scarborough open their season in the new Yorkshire Premier League North at Driffield on Saturday April 16.